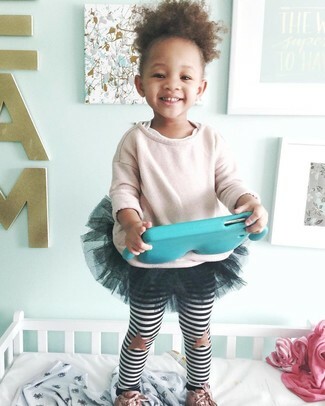 Dress your girl in a grey sweater and white and black horizontal striped leggings for a comfy outfit. Black and white sneakers are a great choice to complement this outfit. 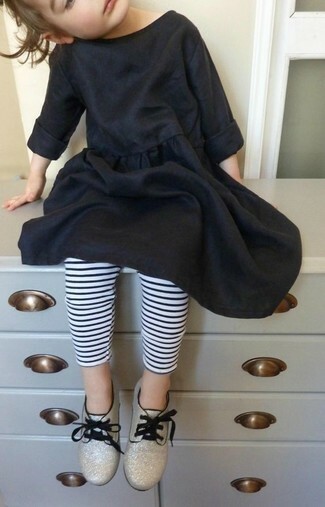 Consider dressing your little princess in black cotton dress with First Impressions striped leggings baby girls only at macys for a comfortable outfit that's also put together nicely. Gold oxford shoes are a smart choice to round off this look. Suggest that your darling opt for a pink sweater and First Impressions striped leggings baby girls only at macys for a fun day out at the playground. Finish off this getup with pink sneakers. 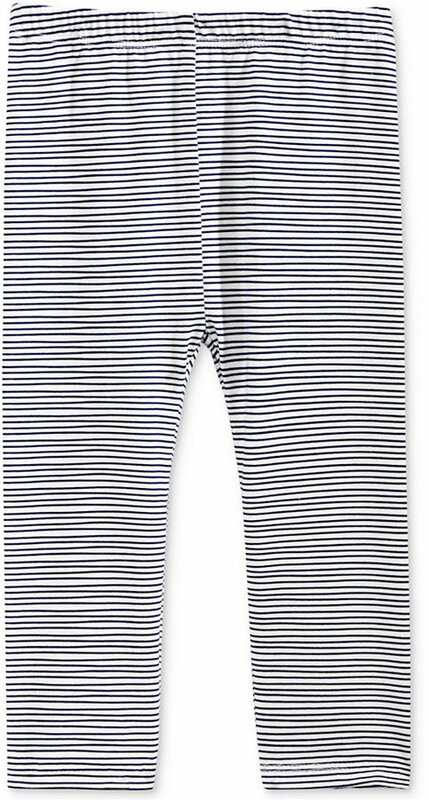 Suggest that your kid pair a white sweater with First Impressions striped leggings baby girls only at macys for a fun day in the park. 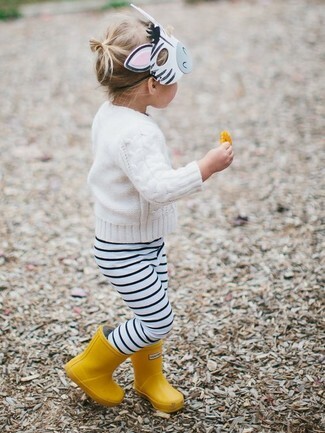 Yellow rain boots are a nice choice to round off this style.